The following story is a chapter from a manuscript entitled The Bicentennial History of La Feria, Texas written by Eddie Gathings McNail in 1975. Throughout the coming year we’ll be reprinting sections of her research into the history of La Feria as the city celebrates its 100 year anniversary. 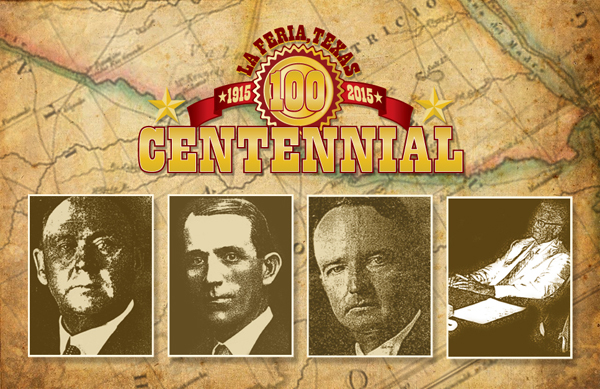 Four men have played an important part in the history and development of La Feria, and they were S. J. 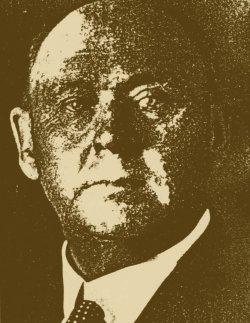 “Duke” Schnorenberg, a real estate developer, who was the “Father of La Feria” and a director of the First National Bank; A.F. 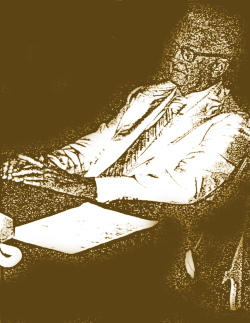 Parker, president of Al Parker Securities, director of the First National Bank of Brownsville, First National Bank of La Feria and the Rio Grande City Railroad; B.H. Dunlap, cashier of the First National Bank of La Feria and president of Dunlap and Sigler Insurance Company; and McHenry Tichenor, newspaper, radio and television executive. In 1907, “Duke” Schnorenberg and a group of developers from Minneapolis, Minnesota, bought a 6,000 acre strip of land one-half mile wide, extending from the end of the Santa Maria Highway, know as Duke’s Highway, eighteen miles north from the Rio Grande River. In 1909, Schnorenberg and the developers conceived the idea of forming the La Feria Town site Company. The original town site was from Canal Street on the west to Parker Road on the east and from Jessamine Avenue on the south to old U.S. Highway 83 on the north. 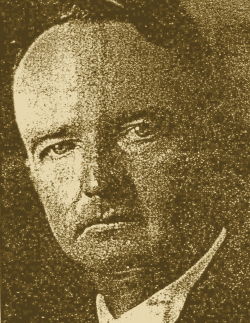 Schnorenberg was the first president of the Minnesota-Texas Land and Development Company. Over the years Duke watched the growth of La Feria and offered advice and assistance to farmers and orchardists. 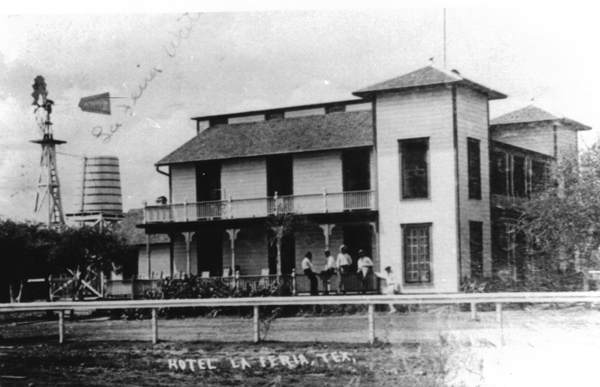 He built the La Feria Hotel in 1910. It was a two-story building containing fourteen rooms and was enclosed by a low fence on the front. It sold to John Reynolds in 1918. Many early residents spent their first nights in this hotel. Some of them were the Ras Ericksons, the B.H. Dunlaps, the Ben Nobletts and many other families. Built in 1910 by real estate developer and director of the First National Bank of La Feria S.J. Schnorenberg, The La Feria Hotel. Many of the early settlers of the township spent their first nights there. The hotel stood at the corner of Main St. and U.S. 83 where La Feria Bakery stands today. Schnorenberg was a man of vision who was dedicated to building a town where people could live in harmony and comfort. He was not interested in making money, but in assisting and aiding farmers and ranchers. This dedicated man gave La Feria the best years of his life as a developer, a banker and a businessman. He was manager of the La Feria Mutual Canal Company of 1909 from November, 1911 to August, 1912. La Feria had developed from a marking on a map to a place where people of many faiths and different nationalities lived in peace and contentment. 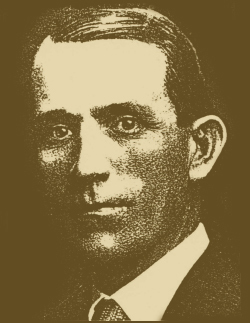 During the early days, Dunlap was the first mayor of the city in 1915 and served on the City Commission. He was a member of many civic organizations and was a Mason and a Shriner. He was a member of the First United Methodist Church of La Feria, and the church bulletin board at the church entrance is a memorial gift to Bailey Dunlap. Dunlap operated Dunlap and Sigler Insurance Agency and was active in selling real estate in the entire Rio Grande Valley. He died March 22, 1957, having served his community, his state and his nation well. Bailey H. Dunlap will always be remembered as a truly great gentleman with a generous heart. McHenry Tichenor was born in Morganfield, Kentucky, on December 21, 1897, was reared in Hopkinsville, Kentucky. He served in France as a motorcycle dispatch rider in World War I. After the war, he married Genevieve Byrl Smith in 1927 and in June, 1932 their only child, McHenry Tichenor, Jr., was born. After a few years in the publishing business in Kansas and Colorado, Tichenor learned that The Valley Morning Star was for sale. He purchased the paper in the winter of 1932 and published it until 1937. In 1940, Mr. Tichenor, Judge J.C. Looney and Rogers Kelley, of Edinburg, built and inaugurated KGBT Radio and the sister station KELT FM followed soon after. Al Parker’s mansion was sold to McHenry Tichenor in 1946 and still stands today as a museum dedicated to McHenry’s legacy. 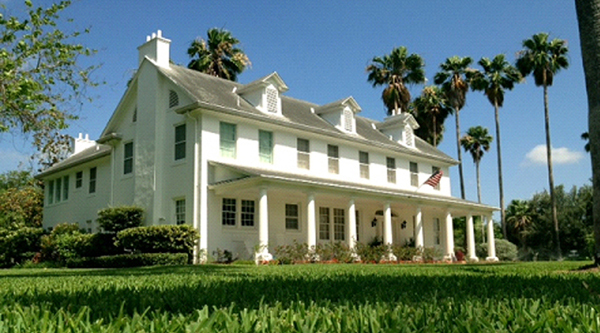 Mr. Tichenor bought the Al Parker mansion in La Feria on May 25, 1946. He and his partners later purchased KGBT-TV and radio and were fortunate in securing affiliation with the CBS and ABC networks. Tichenor was a man of distinction who not only did much for the City of La Feria, but for the entire Rio Grande Valley. Written by: admin on January 2, 2015. I spent many an afternoon at my grandfathers home! He was a remarkable man who found his calling in serving others! He was a very generous and witty man!